• A view of successful social media campaigns in pharma in our video interview with Silja Chouquet. • Advice on the importance of microbiological quality control in the pharmaceutical industry offered by Karla Fjeld. • An insightful view of what opportunities Wikipedia presents us with to increase our online presence, as Alex Butler’s blog continues. • Highlights of the latest clinical advances and issues in oncology discussed at ASCO 2011. • A view from within pharma (video interview piece) of the NHS reform offered by Ian Sampson of Shire. • An introduction to mobile health as Michael Spitz commenced his ‘mHealth Monthly Mashup’ series – off to a great start! • Five common comments and questions in the area of social media in the first of ‘Tunnah’s musings’ from our very own Founder. You may well be wondering what else we have up our sleeves by way of content and so here’s a quick peek into what’s to come. We’ve some more great interviews lined up for you so you can expect to hear from folks at GE Healthcare, GSK, Genzyme and Merck Serono in the not too distant future. In addition, we have an exciting array of names lined up for our pharma social faces series and we’ll also be featuring an interview with the external advisor at Mayo Clinic Center for Social Media – Bertalan Mesko. Want to learn more about optimising clinical trials? Well sit tight for another upcoming series we’ve just scheduled, due to commence in July. The new series will take a look at therapy areas in clinical trials, finding the right patients for clinical trials and how to run Phase III trials more effectively. Keep an eye out for this series coming soon to pharmaphorum. We’re also extending our conference coverage with at least two conference overviews scheduled for the next month and many more in the coming months. 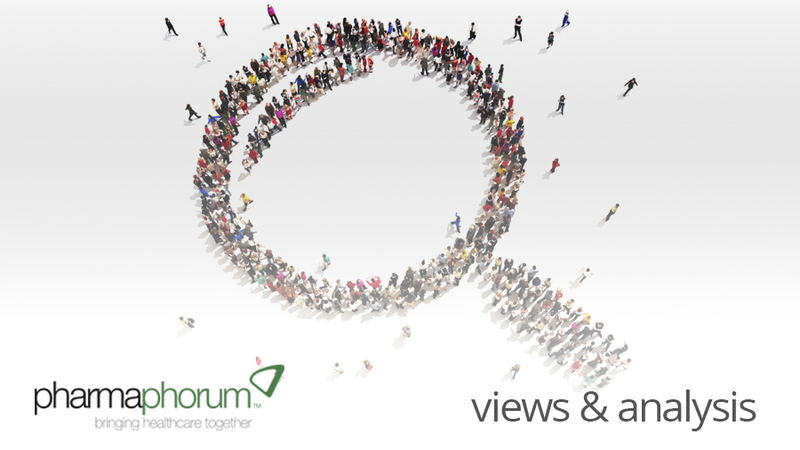 If you’re missing out on attending a conference and would love to see coverage of it on pharmaphorum, let us know and we’ll do our best to provide a write up of it from someone in attendance. Speaking of conferences, another new series on the cards will be taking a look at real-time trends with conferences. Expect to see the first piece in the next few weeks. We also have article schedules covering areas that we know have historically been a little neglected on our site, such as medical devices and drug delivery methods. But if you’ve noticed any other gaps in our content we’d be happy to hear from you. Not just articles, but also some great deals! When we’re not busy scheduling great content for the site we’re negotiating some exclusive deals for our members. We’ve managed to bag an exclusive 10% off the ASCO conference Buzz Report for pharmaphorum readers. Click here for more details and let us know if you find it useful. We’re also able to offer a huge 30% off the cost of registration for a very limited number of tickets for two industry leading upcoming eyeforpharma events. If you were thinking of attending either the Joint Working &amp, NHS Engagement in the UK or the Key Account Management USA then visit our events page for more details of claiming your exclusive discount. One thing that always interests me is what’s being read on our site. Sometimes articles get more viewings months after they’ve been published and others are more immediately popular. In fact, our most read piece over the last month was ‘Cross roads for pharma in India’, which was published earlier this year. However, ‘The importance of microbiological quality control in the pharmaceutical industry’ and Alex Butler’s blog are also proving very popular. We’re always grateful (as are the authors) for people flagging articles to others, so if you’ve found a particular piece of interest on pharmaphorum then please do highlight it through the social media channels you use to make sure these pieces are getting the audience they deserve. Rest assured though, every piece gets some good attention! You may recall that we recently appointed the first members of our advisory board and with our first meeting due soon you can be sure we’ll be receiving expert outside guidance on what hot topics to cover on pharmaphorum. However, no one is in a better position to tell us what to feature than you, our audience. So tell us what you want to see on the site and we’ll do our best to get it featured. Until next time, enjoy the content and keep posting your comments! The next part in this series can be viewed here. Rebecca Aris is Managing Editor of pharmaphorum, the dynamic online information and discussion portal for the pharmaceutical industry. For queries she can be reached through the site contact form. What’s your favourite article that we’ve featured over the last month?